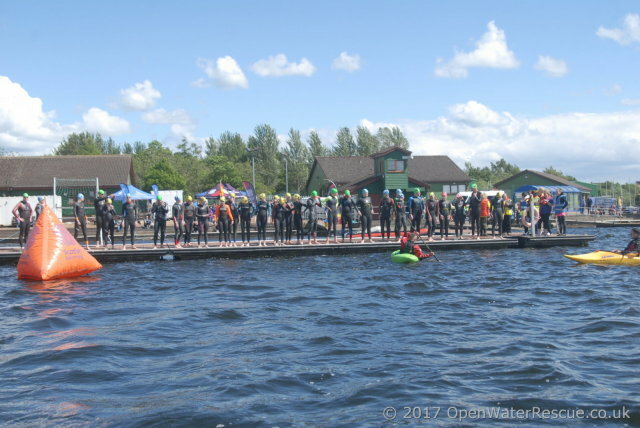 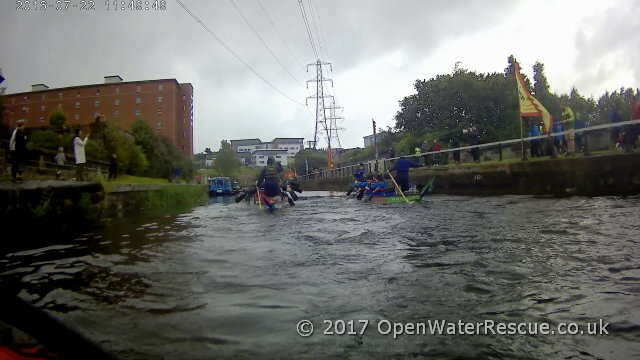 The first ever Glasgow Canal Festival came to the Forth & Clyde Canal between Applecross Basin and Speirs Wharf on Saturday 22nd July 2017. 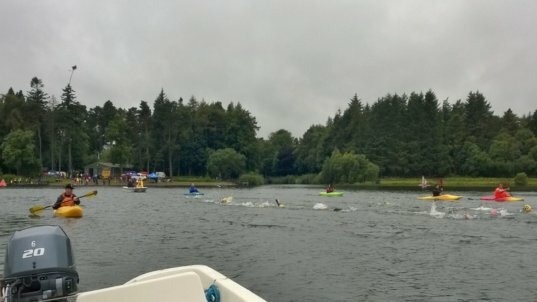 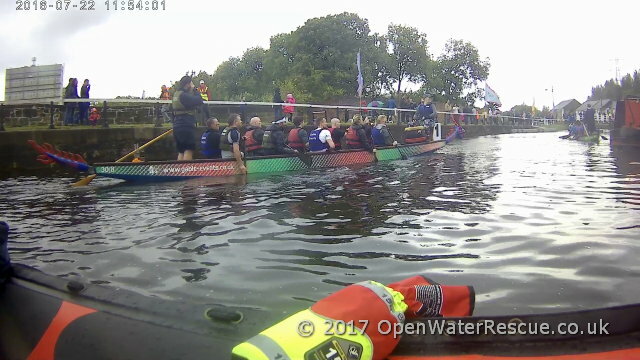 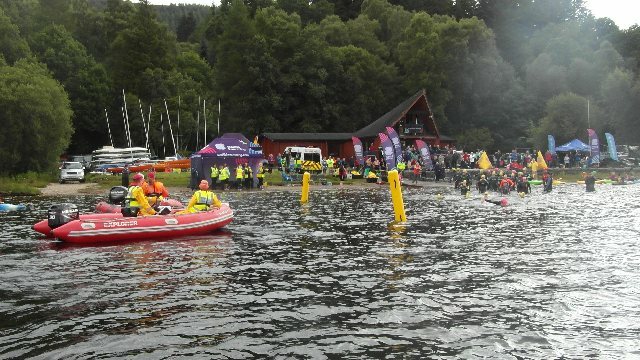 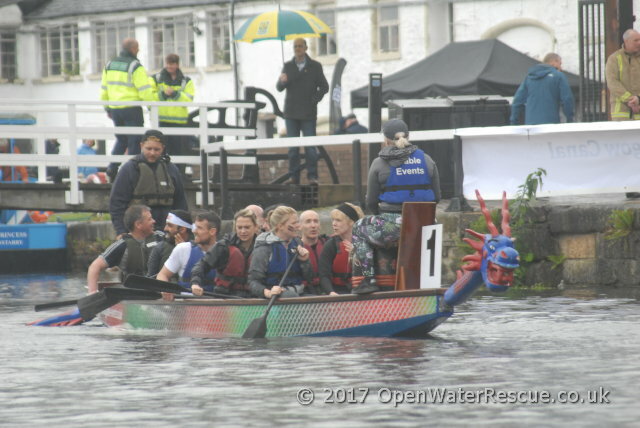 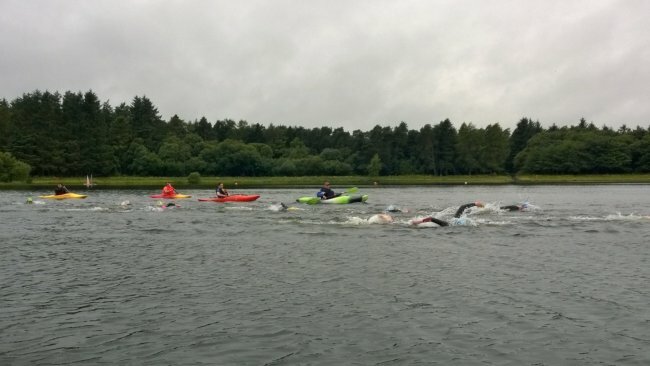 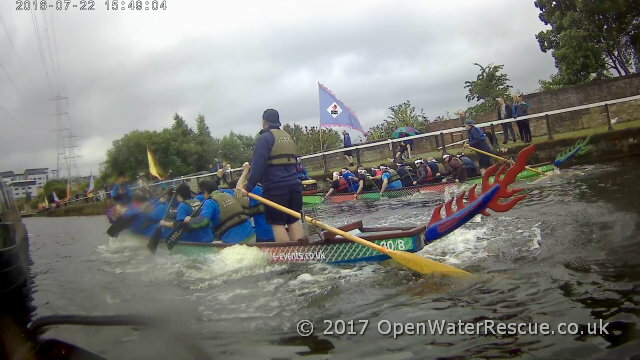 Despite the weather the crowds enjoyed watching and cheering on the Dragon Boat races which took place every 15 minutes throughout the day. 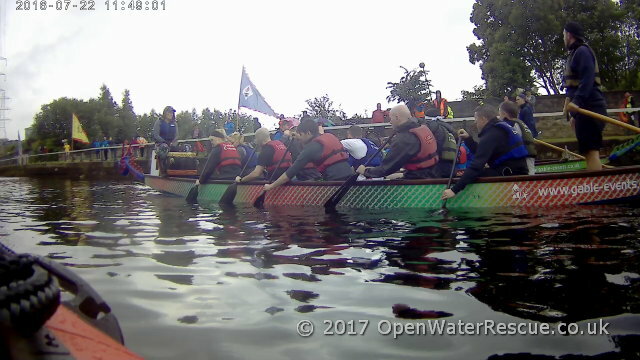 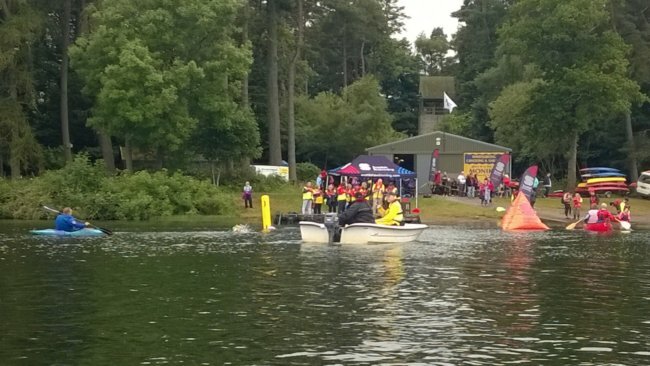 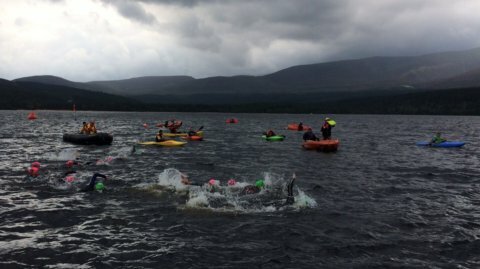 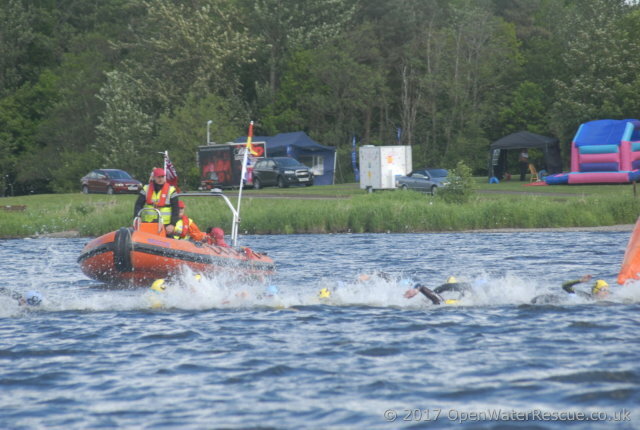 Open Water Rescue attended the 2017 Helix Emergency Services day held on 05/04/2017. 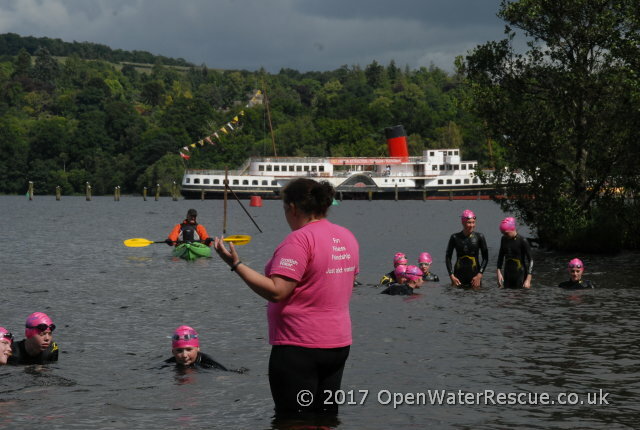 We were situated next to the children’s play area and next to the Royal Lifesaving Society UK (whom we are affiliated to). 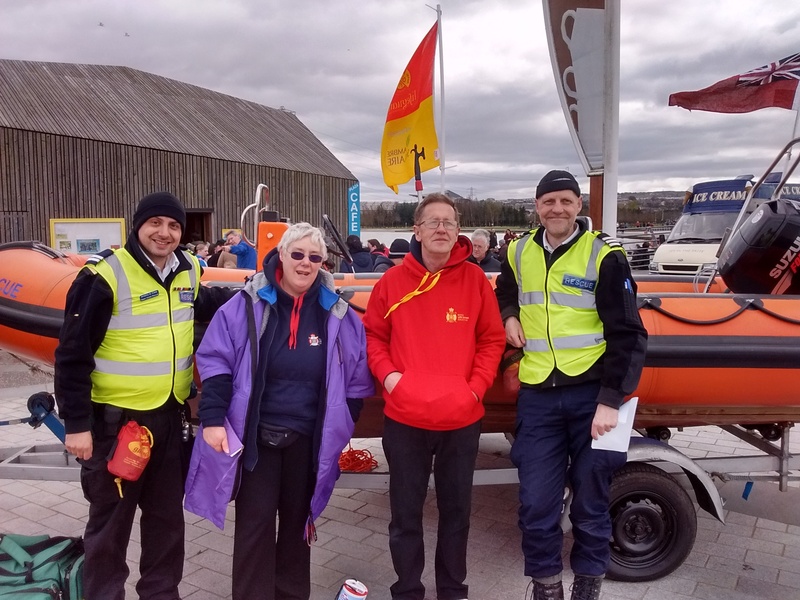 2 of our volunteers were at the community engagement show along with one of our boats and some of our rescue and training equipment. 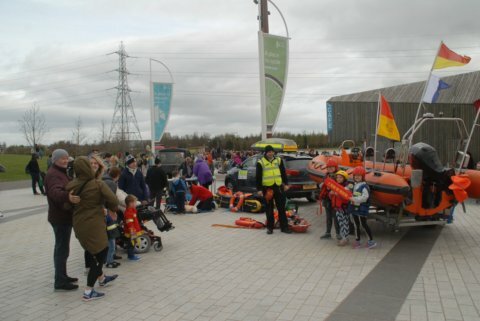 We were kept very busy with the hundreds of visitors… at several points during the day there was even a queue to get photos taken. 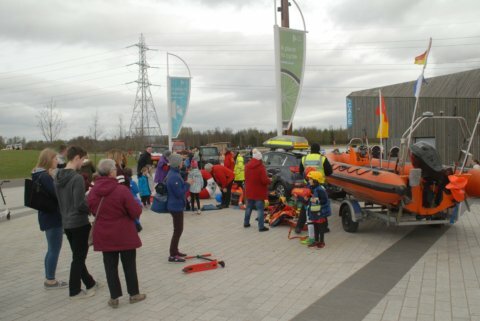 The equipment was explained as well as how and why it is used and visitors had the opportunity to try CPR. 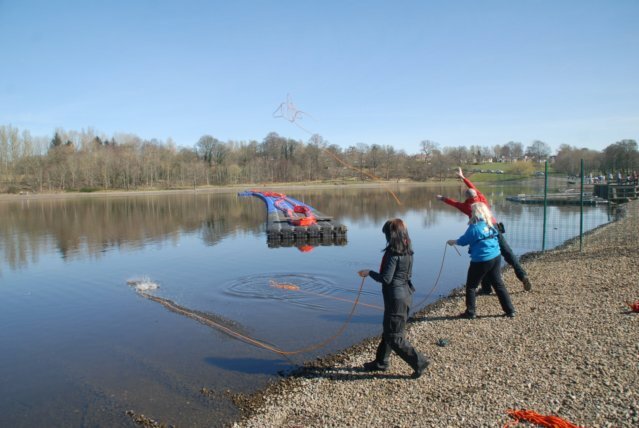 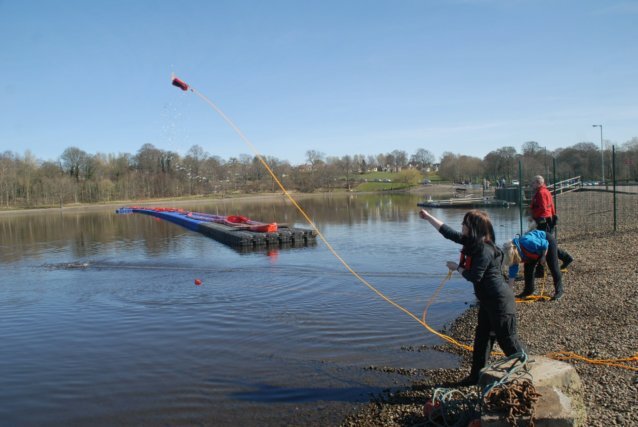 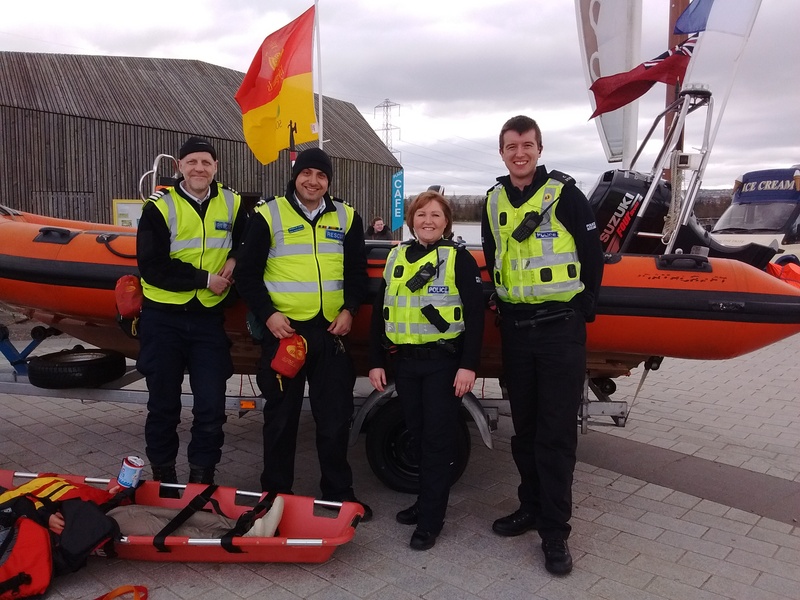 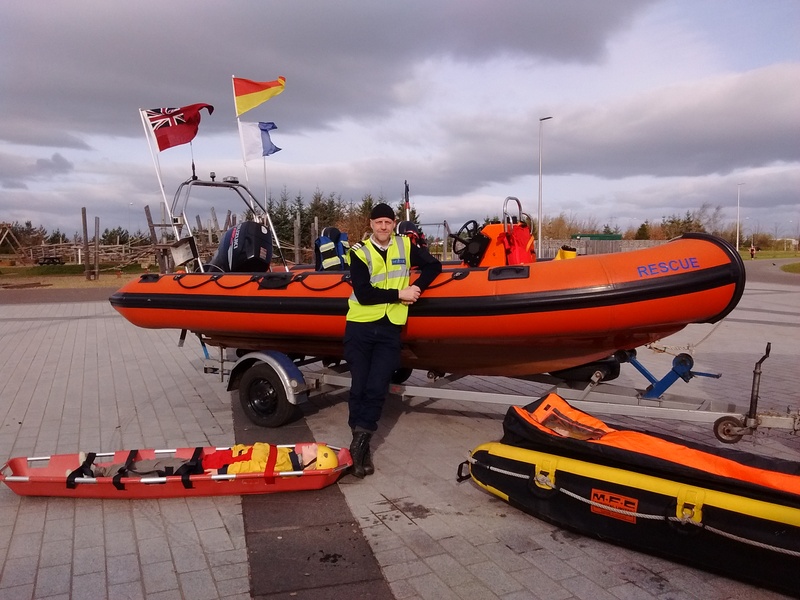 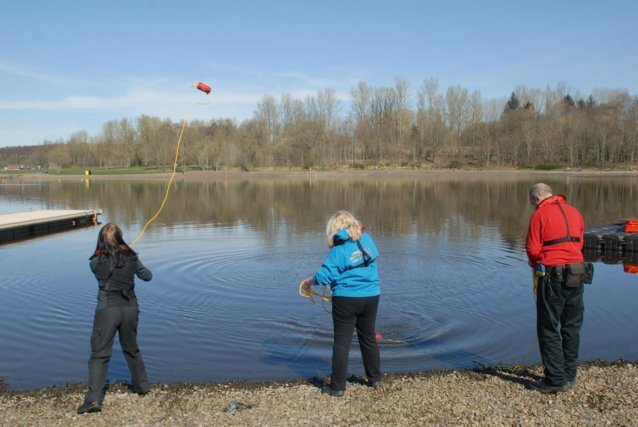 We have some new volunteers and have recently run a Boat Awareness and Rope Throwing training session at Strathclyde Park on 26/06/2017. 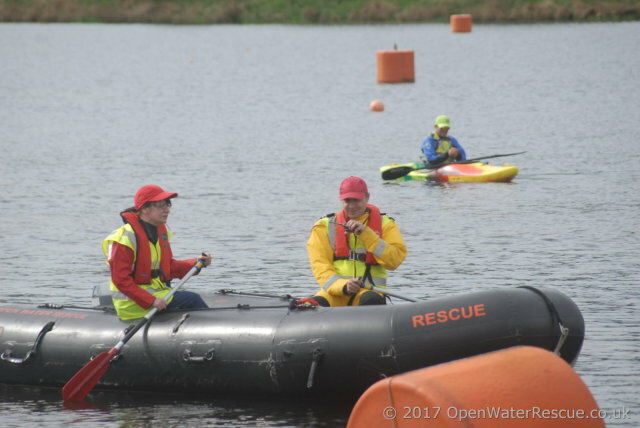 The session was very successful, with trainees quickly picking up skills which will be very useful once in an operational role. 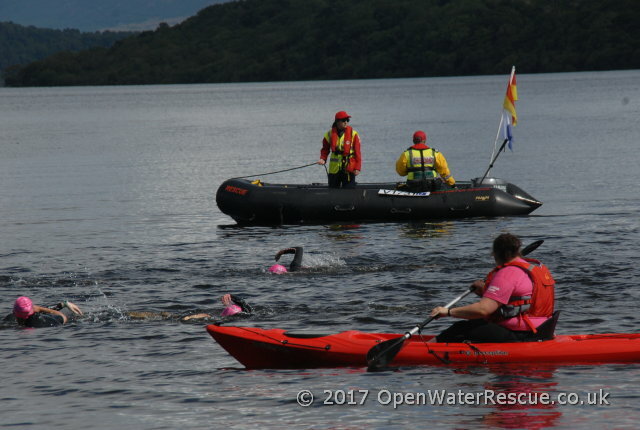 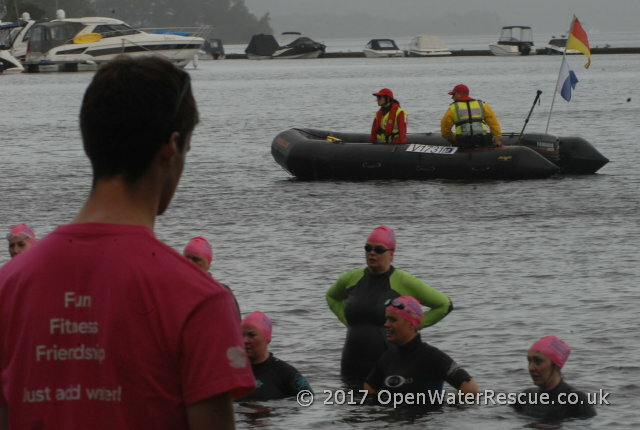 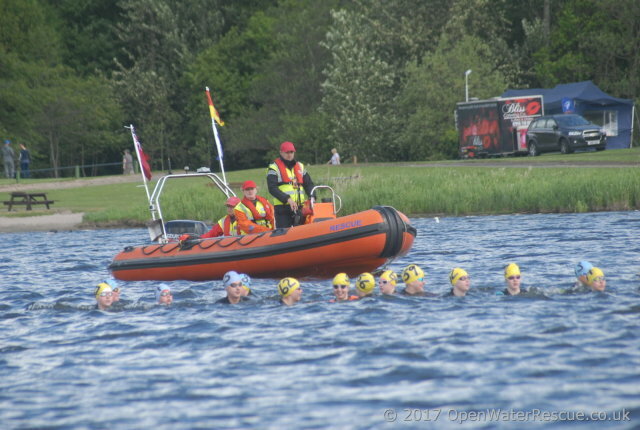 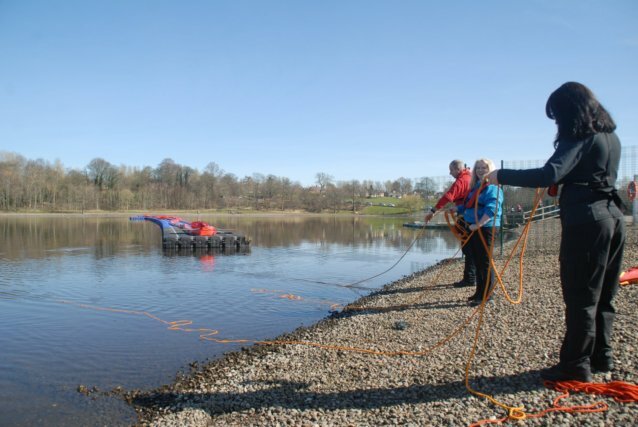 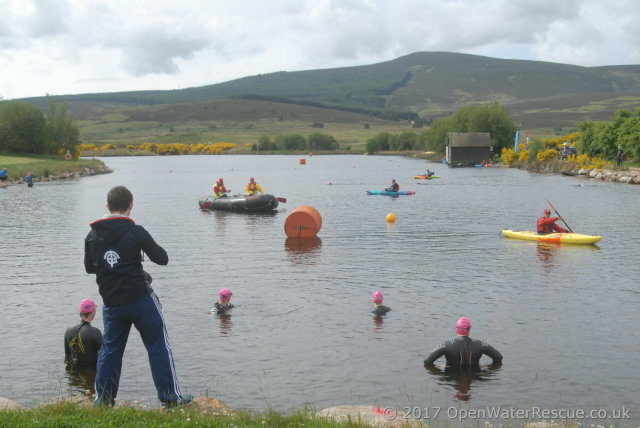 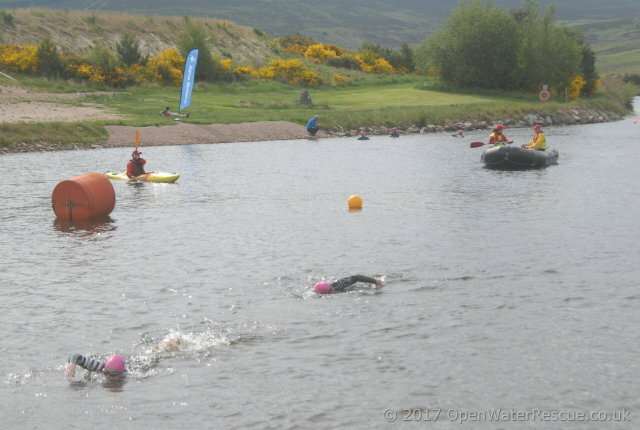 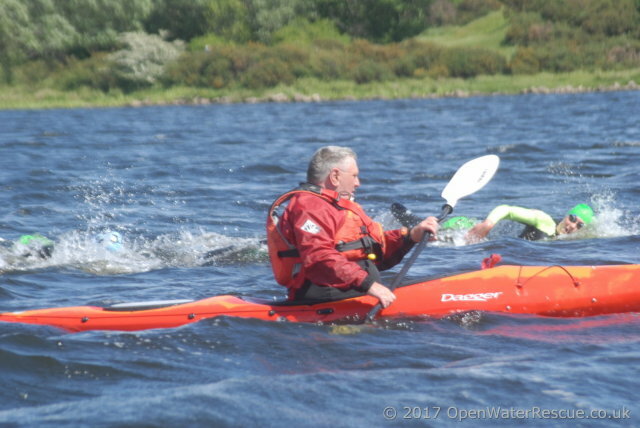 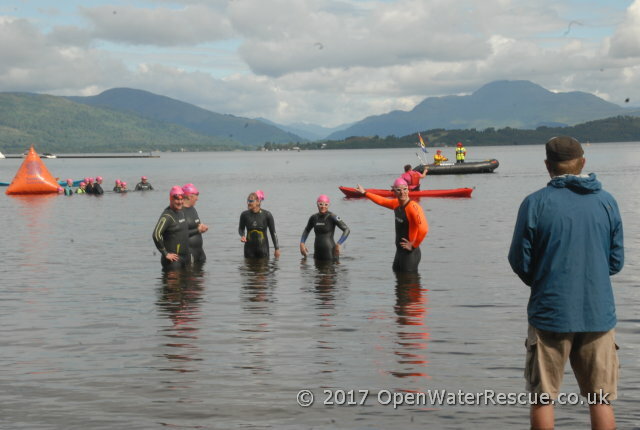 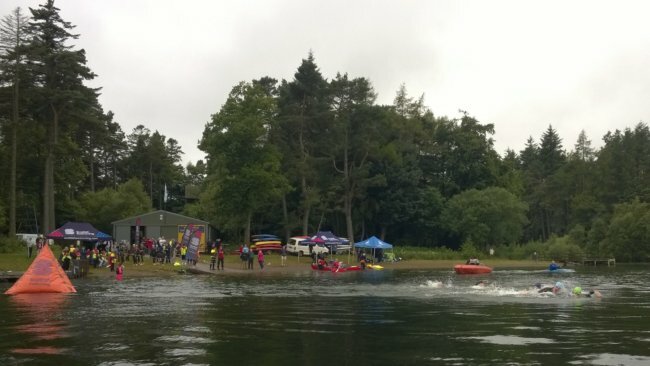 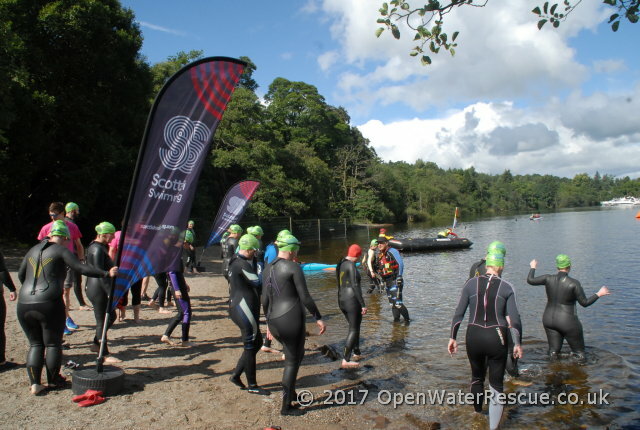 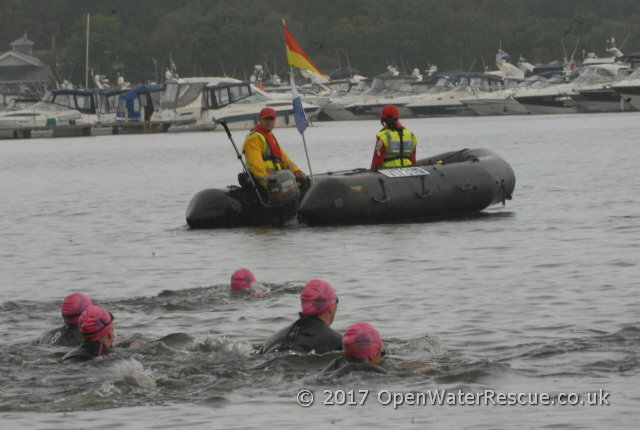 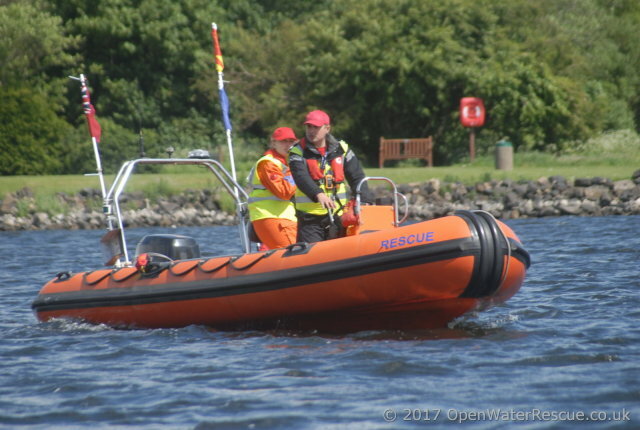 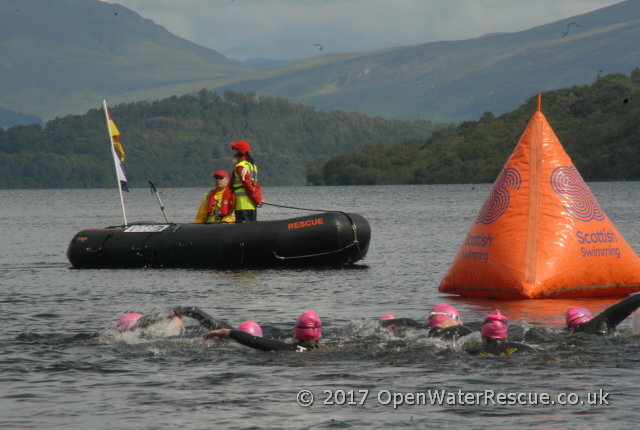 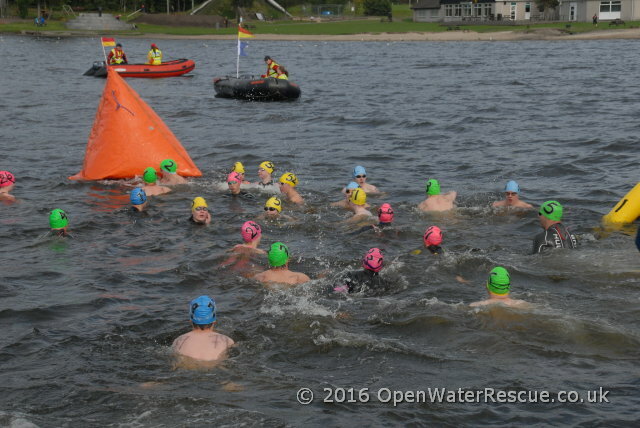 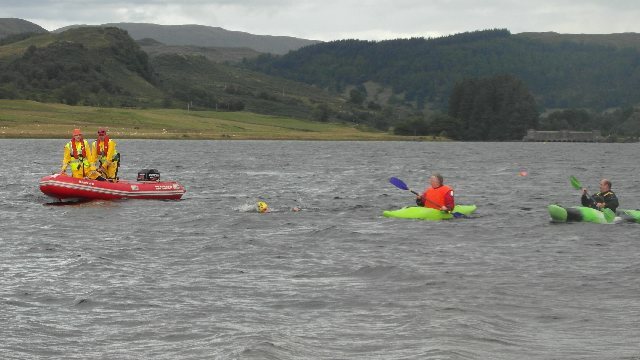 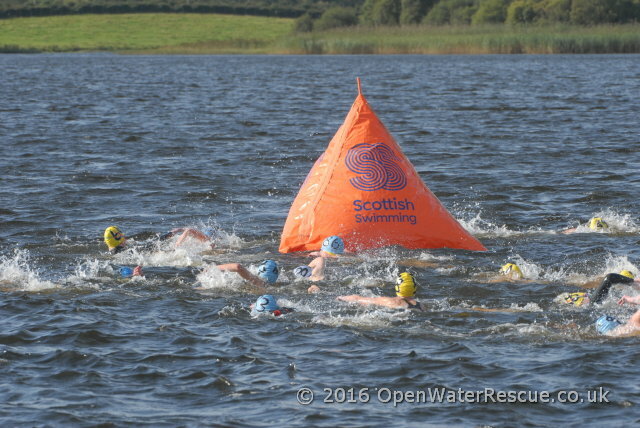 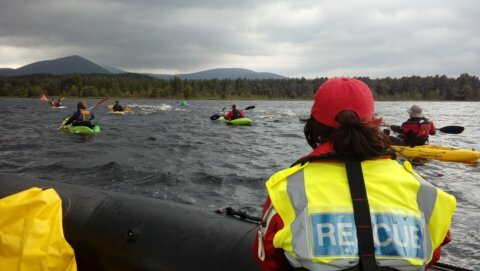 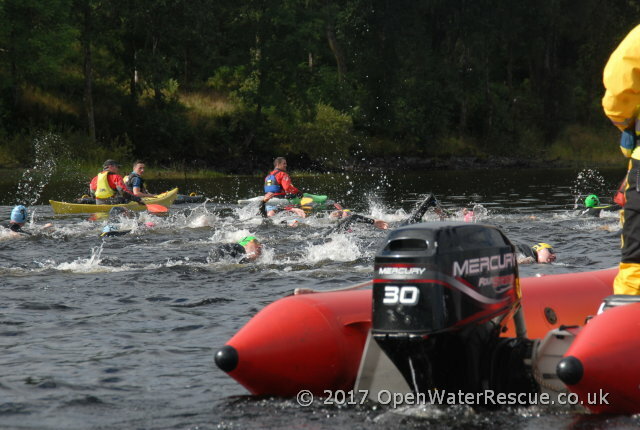 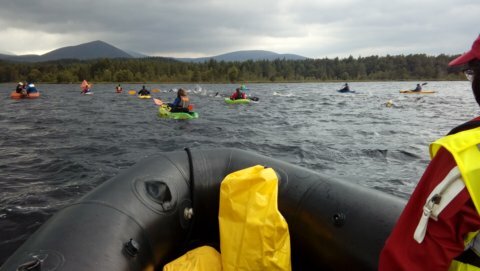 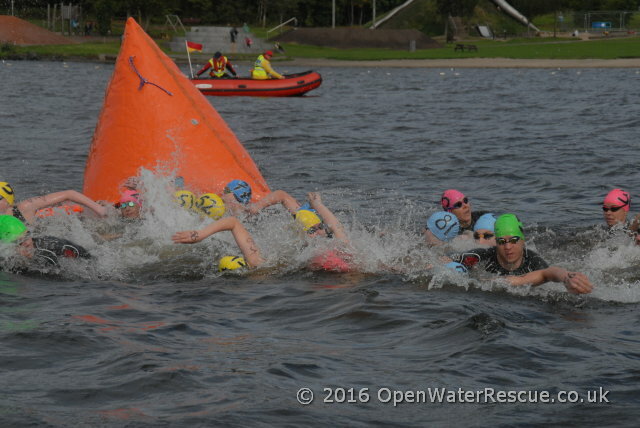 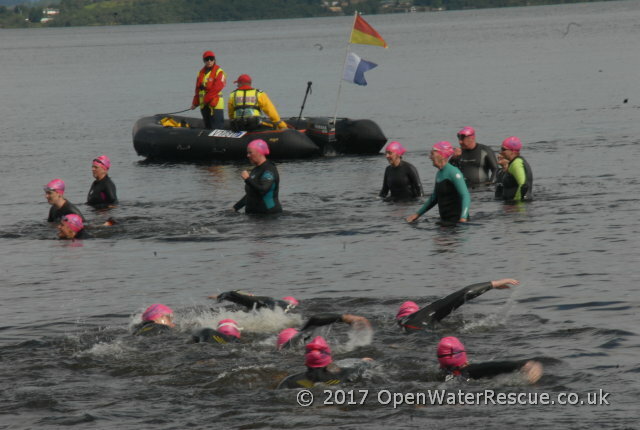 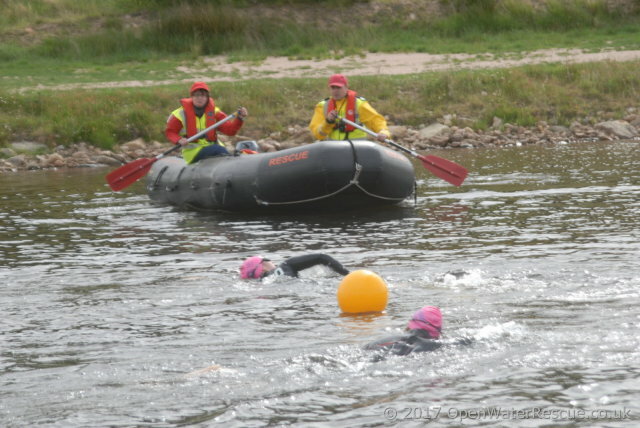 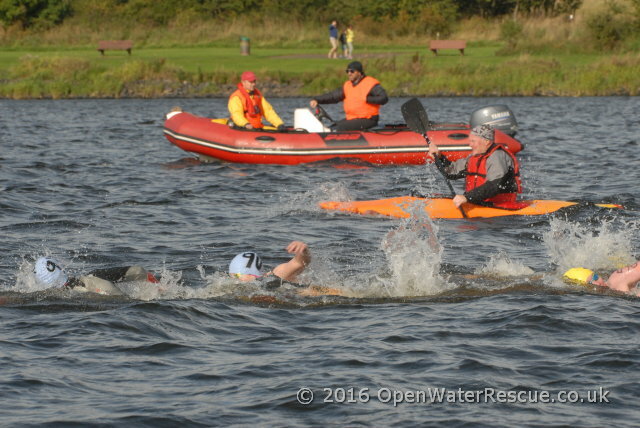 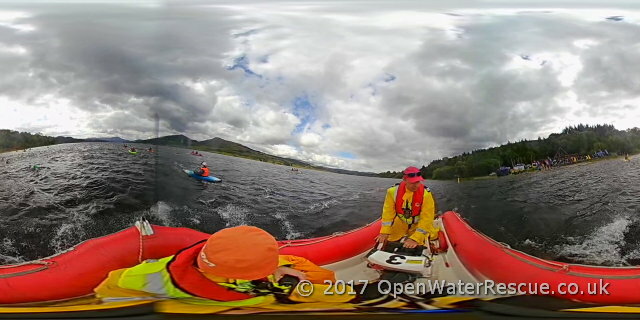 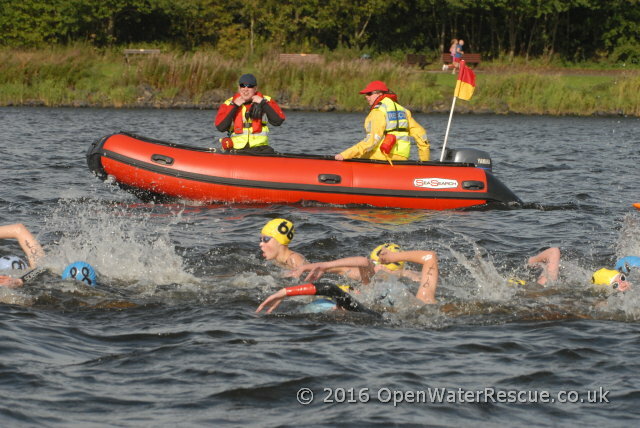 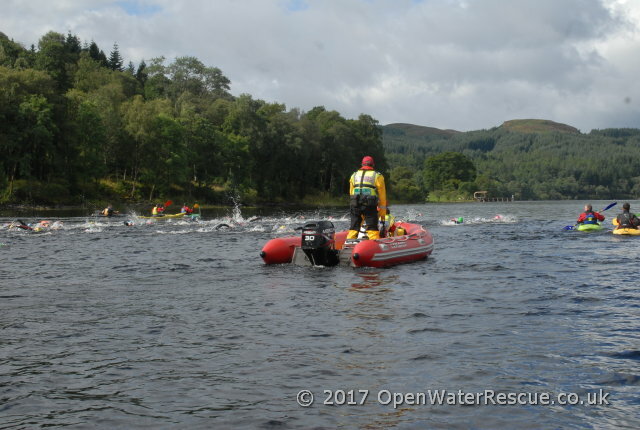 Both the Boat Awareness and Rope Throwing training sessions are the initial internal courses given to all new volunteers of Open Water Rescue. 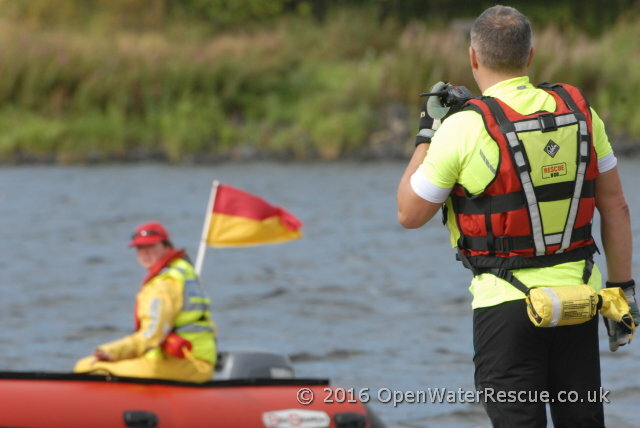 As always, ongoing training is planned for all volunteers; both new and existing.